How much is George H.W. Bush Worth? George H.W. 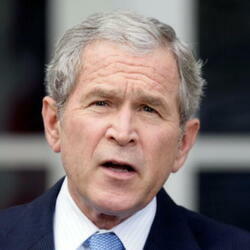 Bush Net Worth: George H.W. Bush was an American politician and former American President who had a net worth of $25 million at the time of his death in 2018. 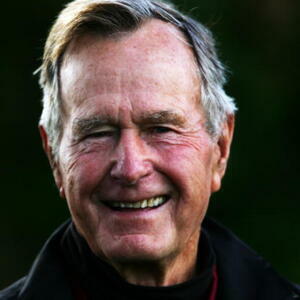 George H. W. Bush was born on June 12, 1924 in Milton, Massachusetts. 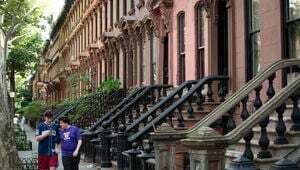 He grew up in Greenwich, Connecticut. His father was a very successful investment banker. He served in the Pacific during World War II and then went on to graduate with honors from Yale. After college he launched a successful career in the oil business. He became a millionaire by age 40 and went on to get involved in politics. He eventually served as the head of the CIA and also as Vice President under Ronald Reagan. In 1988, he ran a successful campaign to succeed Reagan as the 41st President of the United States. He was the last veteran of World War II to serve as President. During his time in office, military operations were conducted in Panama and the Persian Gulf, The Berlin Wall also fell, in 1989, and the Soviet Union dissolved two years later. During his presidency Bush drove attention to voluntary service as a means to solve America's most serious social problems. His speeches were famous for using the phrase "a thousand points of light" to describe the power of citizens to solve community problems. George H. W. Bush married Barbara Pierce Bush in 1945. They would eventually have six children. 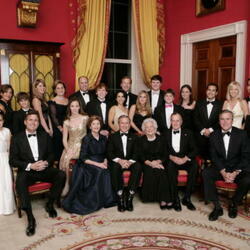 Many of the Bush children are also involved in politics, most notably his eldest son George W. Bush who also served as President of the United States. 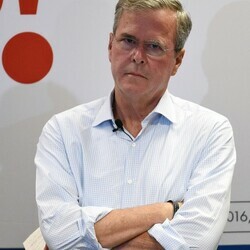 His son Jeb Bush served as the Governor of Florida.